Kava Kava and Kratom are plants that are frequently compared with one another for their respective abilities to induce euphoria and feelings of contentment. Both plants are native to Southeast Asia and have been used both in traditional medicine and for recreational purposes by native cultures. In modern times, Kratom tea is popular as a stimulant, sometimes as an alternative to coffee, or at somewhat higher doses as a sedative and to induce feelings of calm. It is also used as a pain reliever or to help the user overcome drug addiction with fewer withdrawal symptoms. Kava Kava is typically consumed as a mildly intoxicating drink to improve mood, ease anxiety and boost sociability. Although they have similar physical and mental effects, Kratom and Kava each has a distinctly different mechanism of action. Because of this, some individuals have experimented with stacking the two, or using products that blend the two, and found the combination to offer more potent effects than either substance alone. Stacking Kratom with Kava creates a synergy in which the two plants each increase the effects of the other. 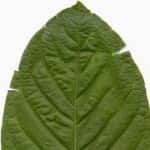 This begs the question, how do Kratom and Kava actually interact with your physiology, are there additional benefits from taking them together, and is it safe to do so? Kava root, also known as Kava Kava, scientific name Piper Methysticum, is a bushy plant native to the islands of the Western Pacific, particularly Hawaii, Polynesia, Micronesia and Fiji. Native people on these islands have traditionally used Kava medicinally for its sedative qualities. Kava was traditionally brewed into an alcoholic beverage by crumbling Kava roots into water. The resulting drink was then consumed in a ceremonial manner similar to how wine is sometimes consumed in the West. Kava induces feelings of relaxation similar to those felt when consuming alcohol. Kava is also reported to alleviate anxiety, improve sleep, reduce stress and reduce pain. Kava is frequently used to alleviate social anxiety naturally and a study conducted in 2004 found that it could enhance cognitive performance as well as improve mood. Kava is thought to work in ways similar to the actions of benzodiazepines. Benzodiazepines are a group of prescription medications that have sedative qualities. In particular, Kava has been shown to regulate the action of GABA receptors to increase the activity of this neurotransmitter. GABA is the neurotransmitter responsible for inhibiting the activity of hyperstimulated neurons. By increasing the activity of the neurotransmitter, Kava is able to calm the brain, which eases anxiety. Kava is also thought to influence the neurotransmitter Dopamine, which is responsible for creating feelings of pleasure and motivation. By these actions, Kava can cause a mild buzz, lower tension, call the mind and sooth the body. 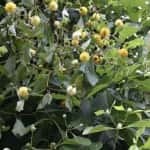 The interesting thing about these two herbs is that they offer somewhat similar cognitive and emotional benefits, but they offer those benefits in significantly different ways. While Kava produces sedative and anxiety lowering effects by influencing GABA receptors, Kratom offers similar benefits via stimulation of the mu and delta opioid receptors. Where Kava improves mood and cognitive performance by stimulating dopamine receptors, Kratom works on the receptors for serotonin and norepinephrine. Because they offer the same benefits in different ways, stacking Kratom with Kava makes sense for users of either herb that wants to increase the effects. Because they work on different parts of the brain, it is possible that combining the two could dramatically influence your mood. If you choose to experiment with stacking Kratom and Kava to enhance their effects, you should have some experience with using each herb by itself so that you know exactly how each one affects you. Give each one at least a week, preferably longer, before combining them. Kava is generally considered to be more subtle and somewhat less powerful than Kratom. 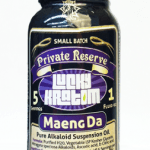 When you decide you are ready to add Kava to your Kratom, consider reducing your dose of Kratom by about half. Because of the way these two herbs interact with one another, it will take smaller doses to create the same effect. A good beginning dose of Kava is two to four tablespoons. Kava can be consumed as a powder, by chewing the root or by steeping it to make a tea. When combining Kratom with Kava, the result is often described as incredibly relaxing. If you usually use Kratom for its stimulant properties, you may discover that Kava neutralizes some of this additional energy. 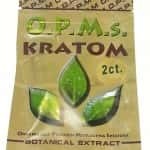 You may also find that Kava can take the edge off of the more stimulating varieties of Kratom, or in high doses can be strongly sedating. Many users report intense feelings of euphoria, deep contentment and feelings of inner peace from using Kava. Stacking Kava with Kratom is thought to be quite effective for reducing nervousness, anxiety and jitters, while easing shyness and social phobia in users. It can also be used to improve sleep and help the user stay asleep longer. Are there Side Effects of Using Kratom and Kava Root Together? 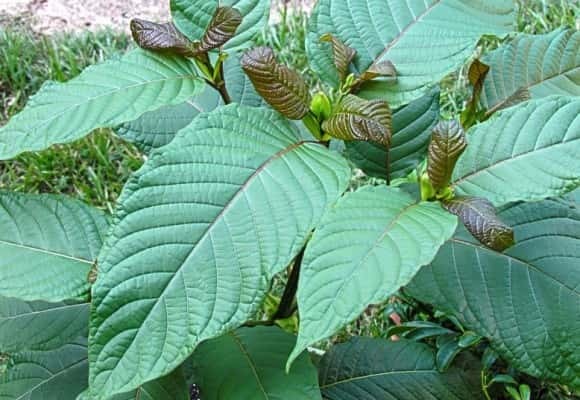 Kratom and Kava are each capable of causing side effects when used in excess, and the potential for side effects is increased when the two are used together. This creates some serious concern over the safety of stacking these two and is the reason why it is strongly recommended that users reduce their dose of each when combining them. Side effects can include nausea and vomiting, dizziness or lightheadedness, mental confusion, intense fatigue and difficulty with motor skills. Like excessive alcohol consumption, excessive Kava use can cause liver damage. You should not combine either herb with alcohol or other drugs, but you should definitely avoid using the stack in conjunction with alcohol or medications. Both of these herbs have the potential for abuse if taken in excessively high doses or too often. 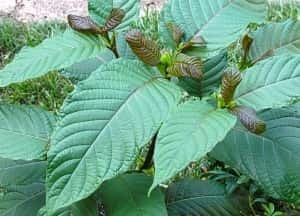 When used as recommended, Kratom and Kava used together is safe for most people, but some people may have different reactions. 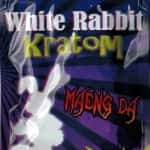 If you do not feel like the stack is working well for you, or if you have a negative reaction, there are other substances that can be combined with Kratom instead. Do your research and experiment responsibly.